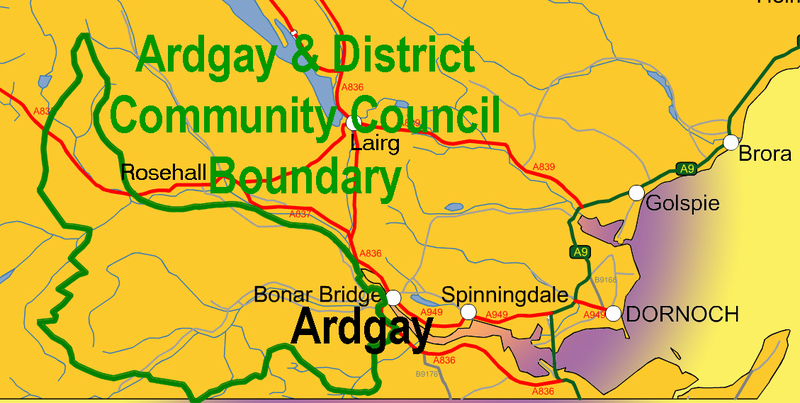 The Ardgay & District Community Council welcomes you to our web site. 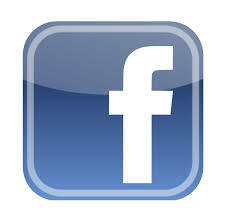 We aim to make our official information easily available for you. 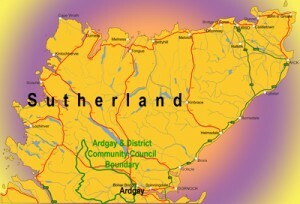 The Community Council area lies along the central southern border of the County of Sutherland, in the Scottish Highlands. Probably the most notable local landmark is the Bridge spanning the Dornoch Firth, or more properly, the Kyle of Sutherland. 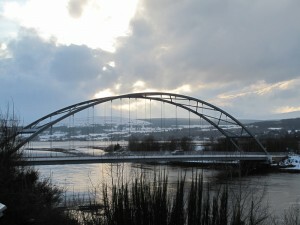 The bridge links us with Bonar Bridge, our companion village in the adjoining parish. Also of note are Croick Church, which gained notoriety during the Highland Clearances. 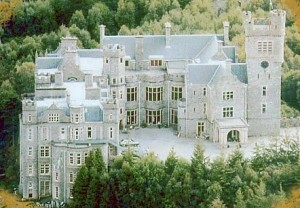 and Carbisdale Castle, whose Edwardian stone walls dominate the Kyle of Sutherland for miles. Largely unseen, but very important to our local identity and to our commerce are the salmon returning from years at sea. The catching of the salmon attracts many visitors and anglers, some of whom, just like the salmon, make an annual pilgrimage to their favourite river. Land and landscape are important to our economy. Tourism, accommodation and agriculture are our largest employers. Forestry occupies many hectares of upland. Deer stalking attracts a worldwide clientele. Our fishing rivers are world famous. Tourism is based upon the sheer beauty of the whole area and activity holidaying is now growing quickly. We live in a Rural location, classified as Remote. This is an attraction for visitors, for lifestyle residents and for those born and educated here. 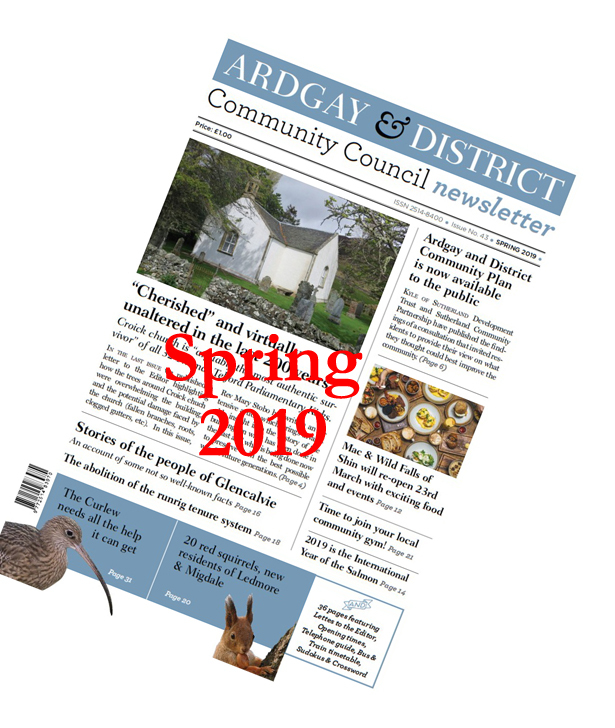 However remoteness is at times an impediment to economic development and hence this is a recurring theme discussed by the Ardgay & District Community Council. Add our web site bookmark to your favorites – Press CTRL-D now!